You may wish to take the opportunity to join me and enjoy learning the necessary skills, and correct techniques from an SGAIC, FFF and AAPGAI qualified fly fishing & fly casting instructor- covering both single and double handed rods. By doing this you will be avoiding the most common fly casting faults and frustrations experienced by so many fly fishers participating in this wonderful sport. 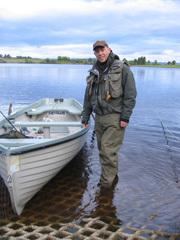 As an Orvis Endorsed Guide, Fishing and tuition can be arranged in the Trossachs, Stirling and Forth Valley area. 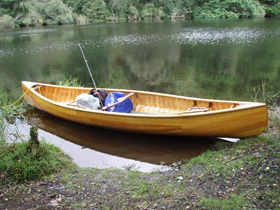 Fishing is available in these areas of outstanding scenic beauty, either in traditional Scottish clinker-built boats or by cedar canoe. 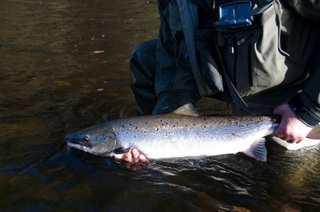 Tailored fly fishing courses and lessons are personalised to suit you whether it be a day fishing on the river, loch or saltwater or a series of 90 minute lessons to master the art of spey casting for salmon on the river. I look forward to hearing from you.